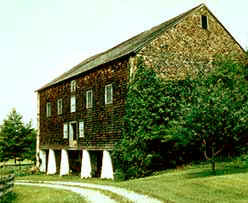 old barn Archives - Blackburn Architects, P.C. : Blackburn Architects, P.C. Stumbled across this photography blog and am glad I did. Seems he too has a thing for old barns. Really like how the images seem to capture the mood of the large, weary structures. Great stuff. 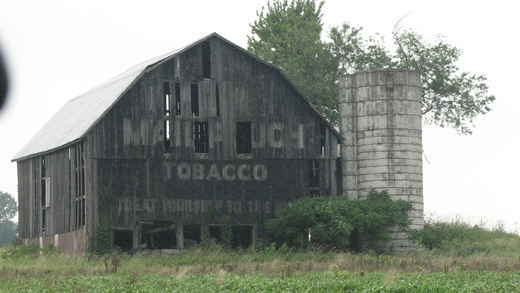 Just the other day, I came across a great blog entry about Mail Pouch Tobacco barns in Pennsylvania. The blogger, Pamela Simmons, wondered what became of the old barns she so vividly remembered dotting the landscape along highways in Western Pennsylvania. Read her article for some background info and a few terrific photos. I’d relish the chance to restore a big old barn like one of these Pennsylvania beauties; unfortunately, they seem to be few and far between these days. Please share your own photos or memories of the types of barns you recall seeing on car trips as a child or young adult.